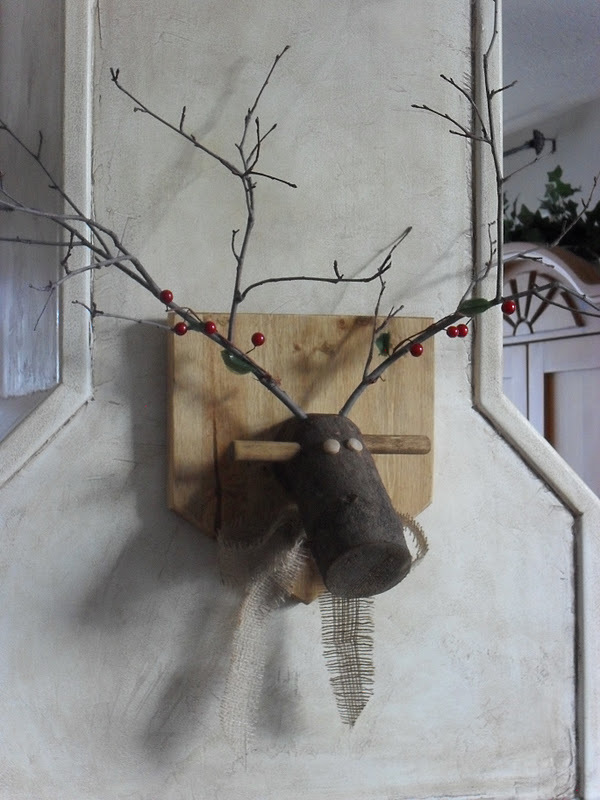 A DIY home decorating and living blog by one woman who finds it fun to be frugal. Join me in the adventure! Everyone loves Christmas and I am certainly no exception. One aspect I love about it is the chance to make my own decorations and gifts. It is easy to run out and buy them, but I think you miss out on the fun of creating something that shares a part of you with your family and friends, and also shows them you care enough to put thought and time into something special for them. This year is especially fun because there are so many great ideas from which to "borrow" on the web. Pinterest can point you to an endless supply of ideas with which to begin. 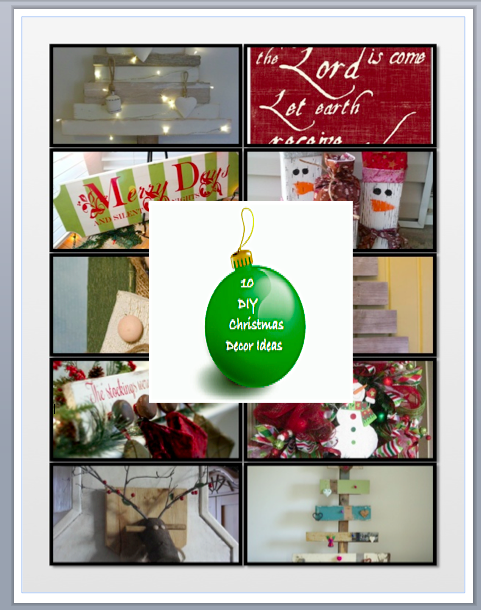 Just to get you started, I am highlighting a few DIY Christmas decor items today that I have pinned on my holiday board. 1) I evidently have a fixation on trees - rustic ones, especially. I think it is the the beautiful simplicity of them. 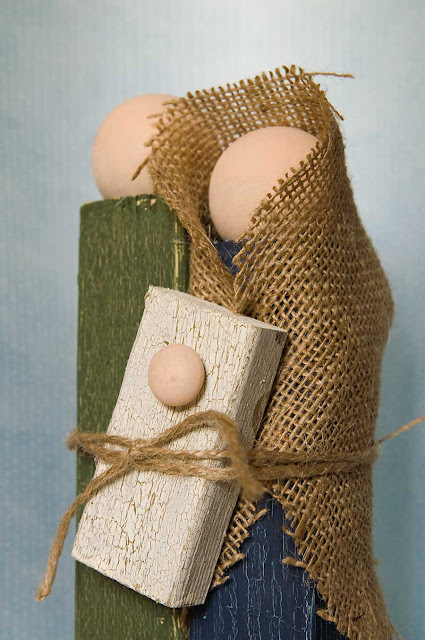 This first one is from Ingrid who writes the blog Wood & Wool. It is aptly called Heart Tree. She doesn't explain what kind of wood she made it from, but I could easily see making it with pallet wood and putting many different kinds of small ornaments on it. Simple, right? 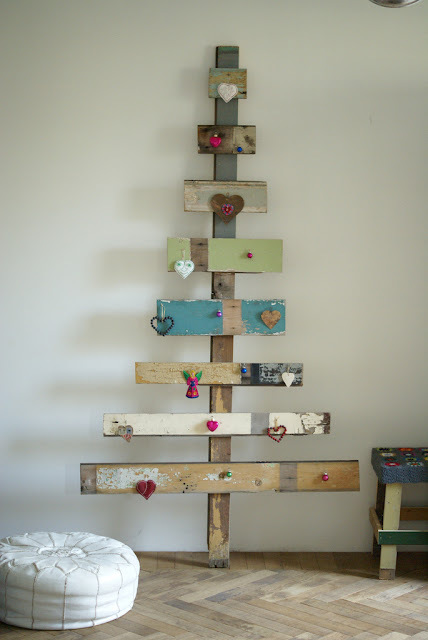 2) The tree fixation continues with Marty's (Marty's Musings) tree that her hubby made from scrap wood. I love the tree and the fact her husband made it for her! 3) This next beautiful tree is rustically elegant and made from old wood and driftwood. The blogger at Beachcomber lives at the beach. In Australia. Sigh. I love the beach. I want to be her. 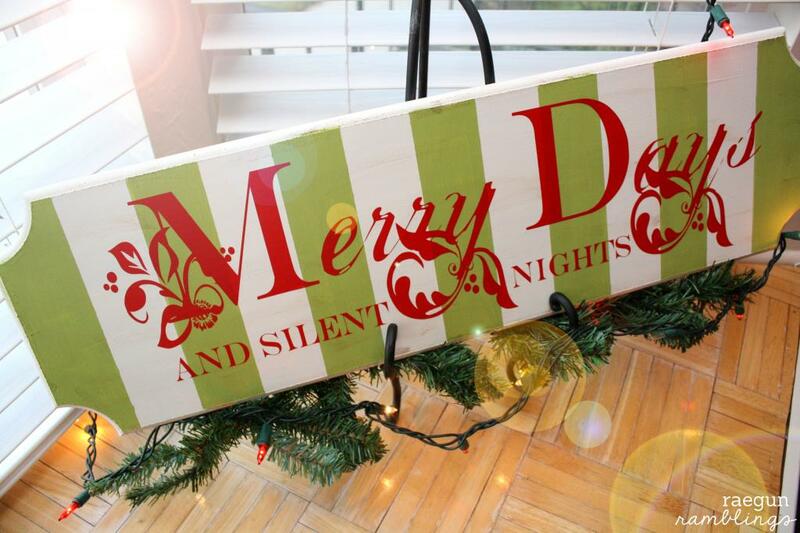 4) Moving on from the tree theme, how about some Christmas signage? There are many creative ones to be found on the internet. This one is from Marissa at Rae Gun Ramblings. Don't you just love the stripes? 5) If you are a member of my Facebook page, you will have seen this one (below) already. It is for sale online at Red Letter Words, but a similar one could easily be made. Paint a canvas or piece of wood white. 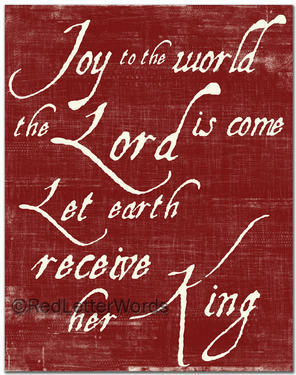 Place stick-on letters on the canvas or board after the paint dries (give it at least 24 hours), then paint it red. Peel off the letters. Distress it a bit with some fine-grade sandpaper. Tada! 6) This next one is a "functional" sign that my friend Karra has asked me to make for her family. She and her husband have 2 teenage children. Last year, these brave and giving souls expanded their family to include 4 very young nephews and nieces. That is a lot of stocking to be hung by the chimney with care at Christmas time! 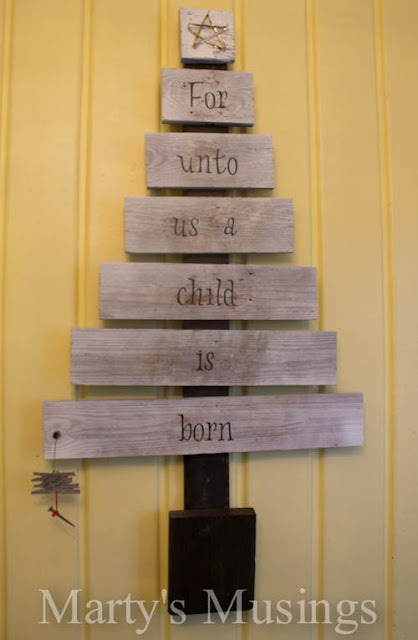 I will be making two of these; one to go on each side of their mantle. 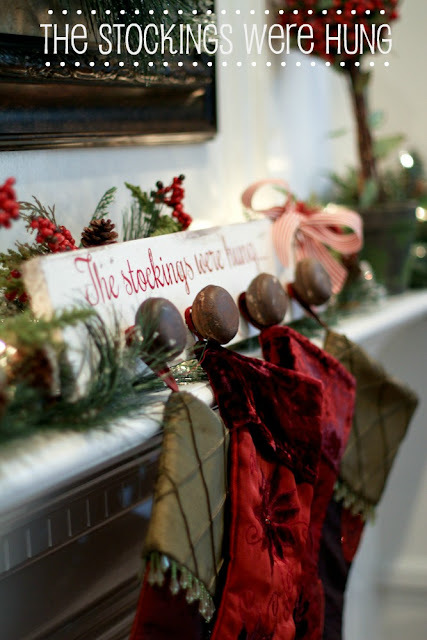 One will say, "And the stockings were hung..." and the other, "...by the chimney with care." Each will have 4 knobs in order for the two together to hang all 8 stockings. Thank you, Jen at Scissors and Spatula, for the idea! 7) The little wooden nativity family I found at Jill Made It is precious. Patty will be making it. 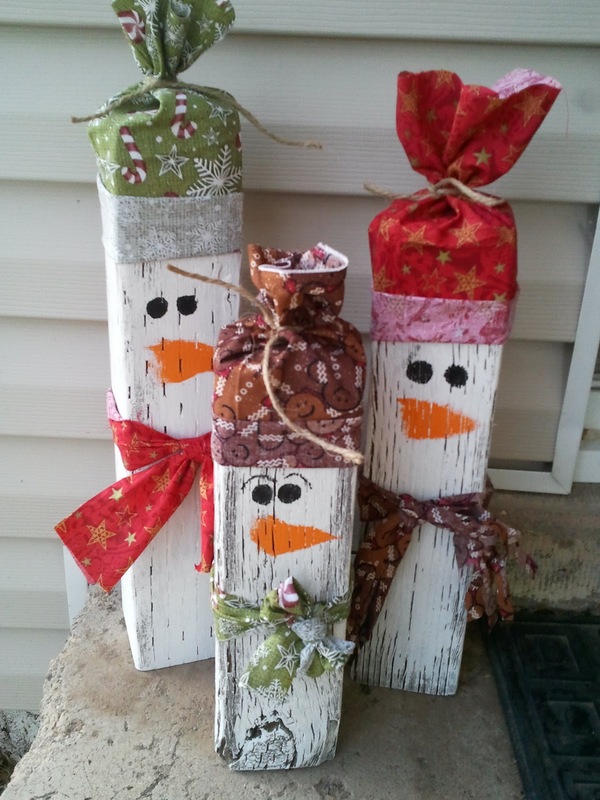 8) How about some scrap wood snowmen? These could be on display at your house way past Christmas time. I found this idea at Lovely Little Snippets. 10) I couldn't leave you without a wreath this Christmas. This one, from Kristen at Kristen's Creations, has a wonderful tutorial that takes you through the making of it step-by-step. All right; go on now. You've got some creating to do! Thanks for featuring my tree! Perfectly acceptable and thanks for the link back to my blog! Great post. 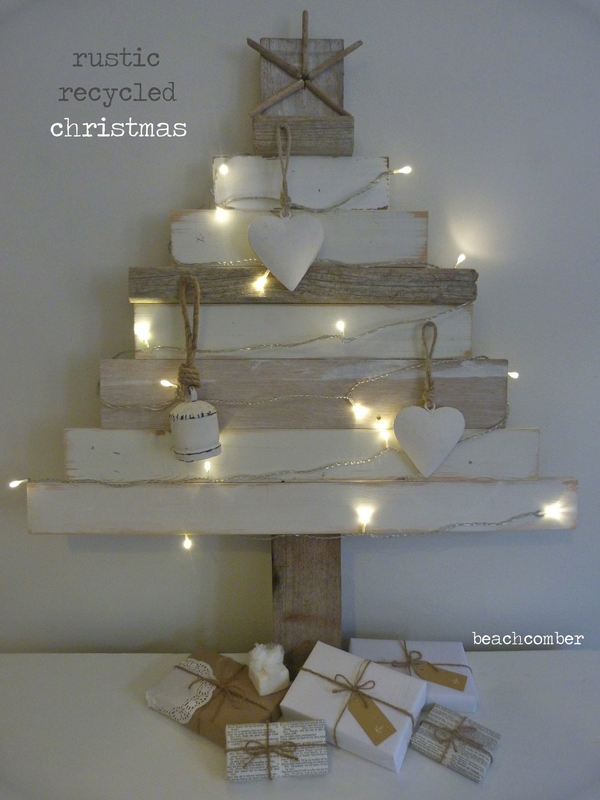 thanks so much for featuring my rustic tree! Thanks so much for featuring my sign, I'm honored! THanks for featuring my nativity! These are really innovative idea. I’d love to do this for Christmas this year. It’ll be really special. I’m also helping a friend decorate her office party in one of their corporate Venues in NYC and she can also use some of these ideas! Submit your site to the best of internet directory for free. Reach more customers with the best web directory for free.